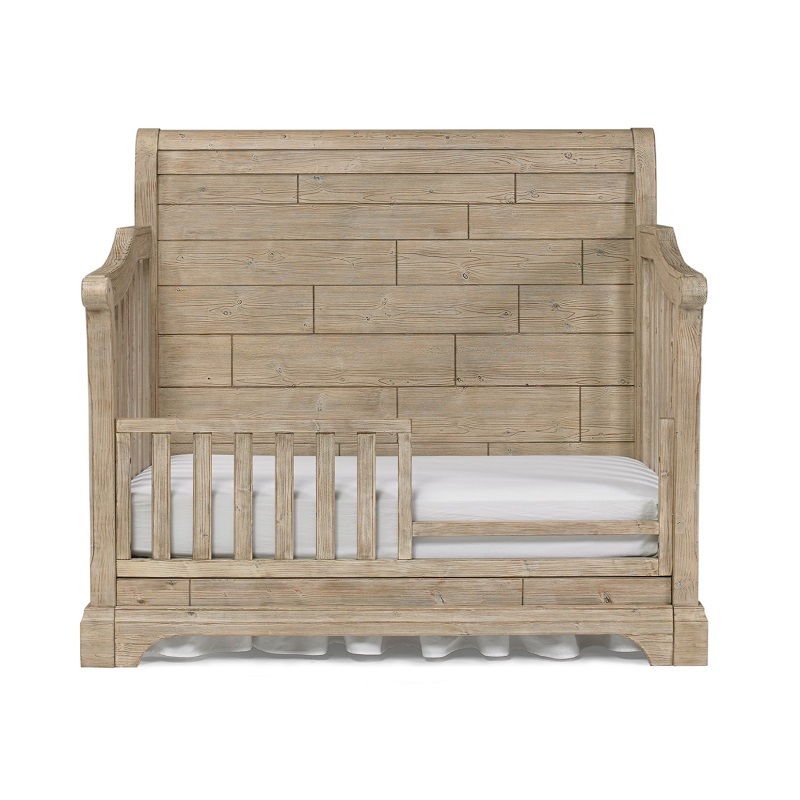 The Delfino collection is a refined take on the rustic Americana Farmhouse style of furniture. 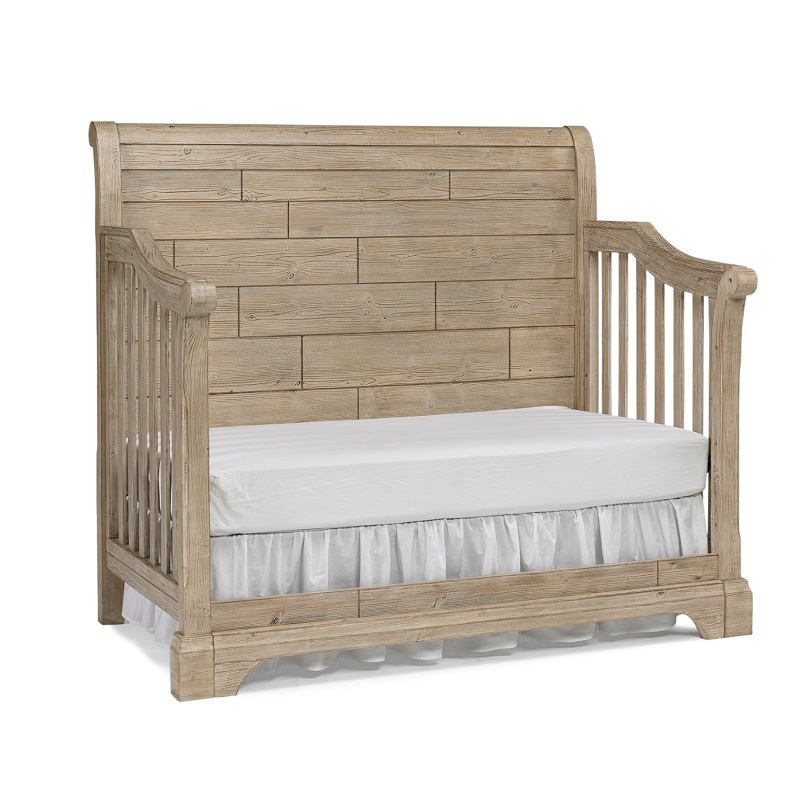 The centerpiece of the collection is the generously proportioned sleigh style 4-in-1 convertible crib that features a scrolled headboard and footboard along with a full panel headboard of planked boards. 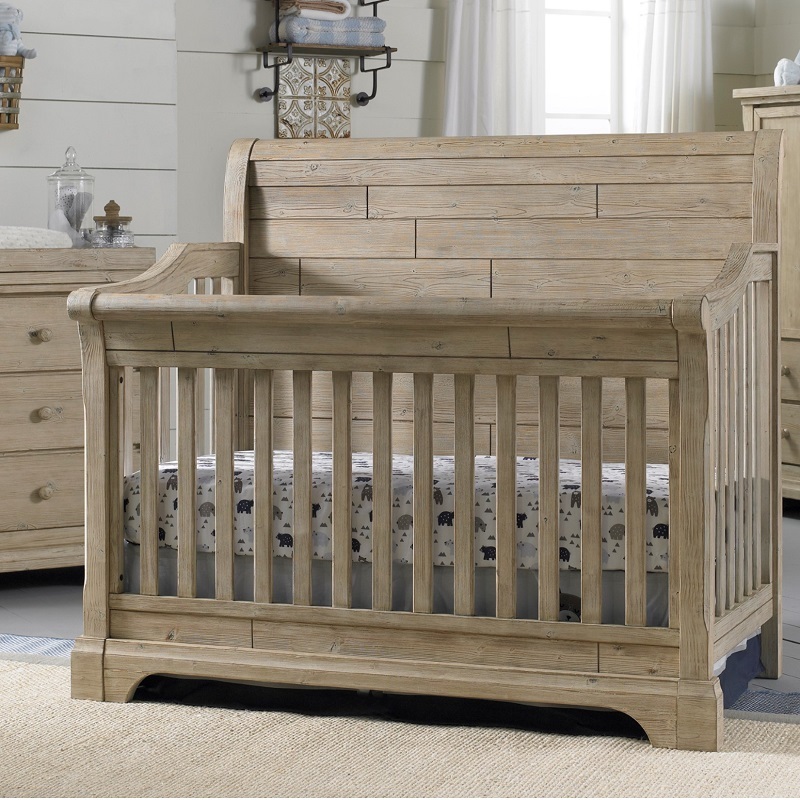 The 11- step hand finishing process gives the appearance of reclaimed wood from a century past. 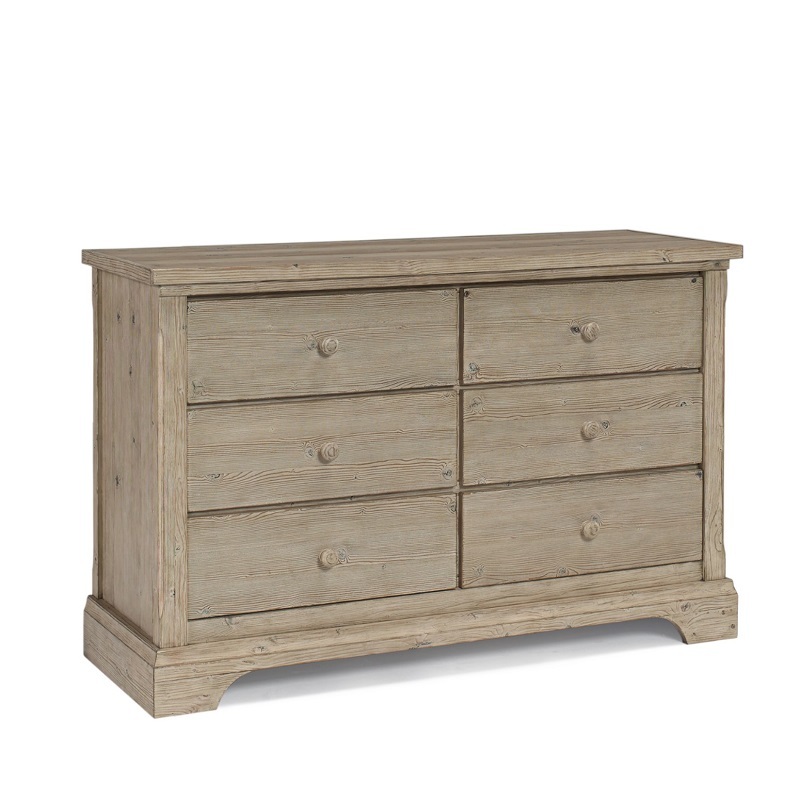 The set includes a double dresser. Mattress included. 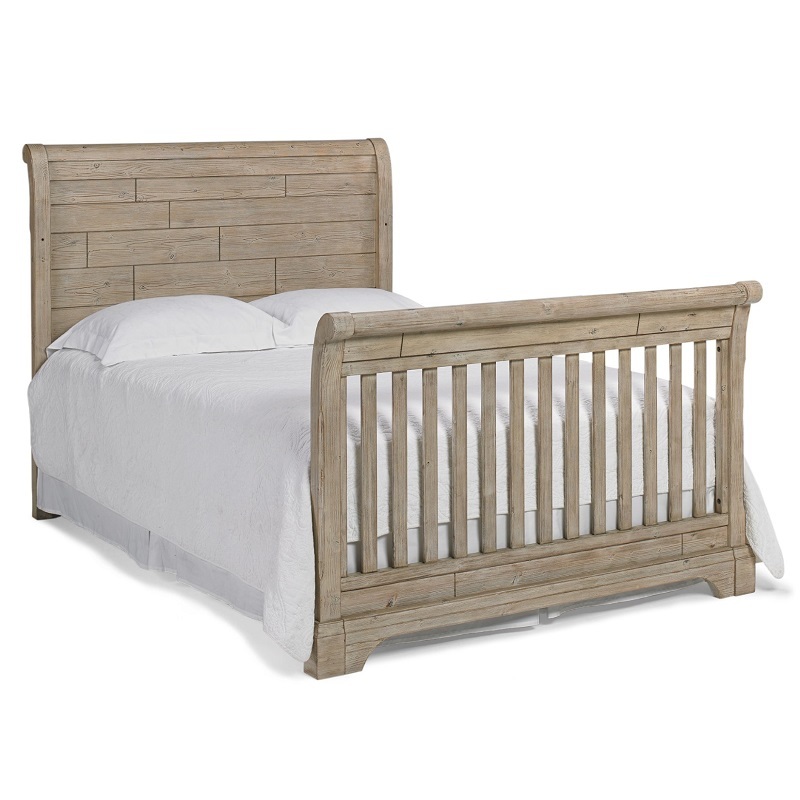 Guardrail for toddler bed as well as bed rails for full size sold separately.